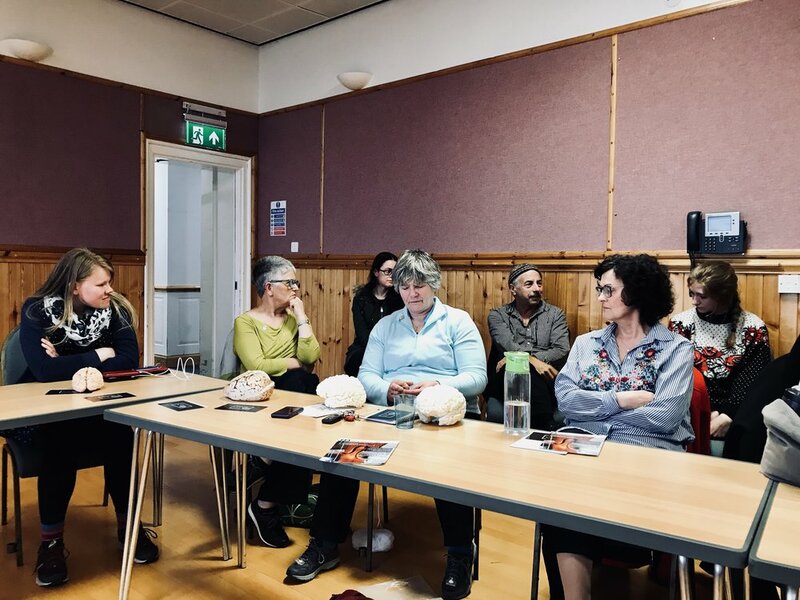 During May, we toured across Shetland exploring the importance of creativity for wellbeing and the neuroscience of music in schools and communities from Lerwick to Unst. 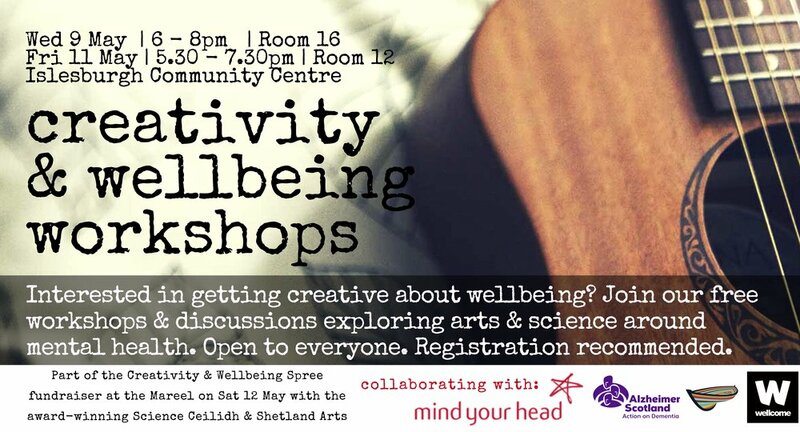 Following the "Spree" Shetlandic tradition of evenings centered around music, friendship and discussion, we held a "Creativity & Wellbeing Spree" at the Mareel raising £346.30 for local charities Mind Your Head and the Shetland branch of Alzheimer Scotland. 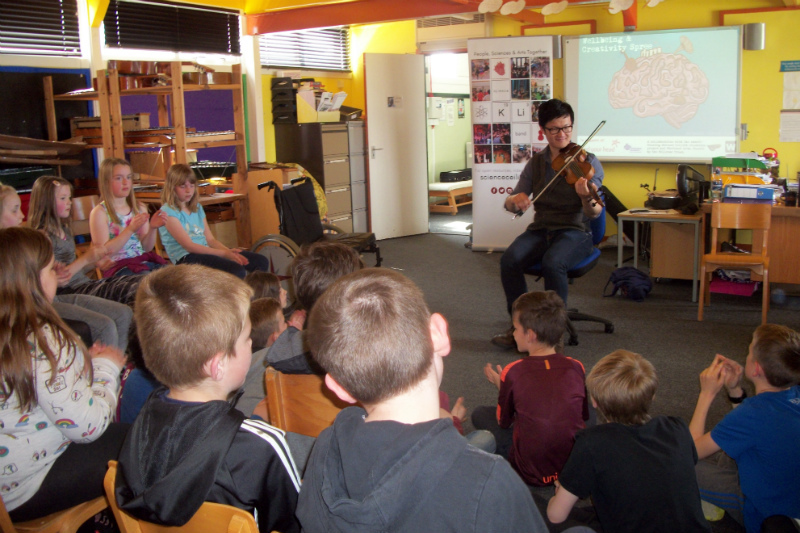 This included talks & discussions facilitated by neuroscience educator & fiddle-player Lewis Hou (Featured on BBC 2 Artsnight), director of the Science Ceilidh education project, along with a supper and local community groups including the Shetland Fiddlers, Shetland Traditional Dance, the Wellbeing Choir and the Brainiacs school club of Bells Brae Primary! 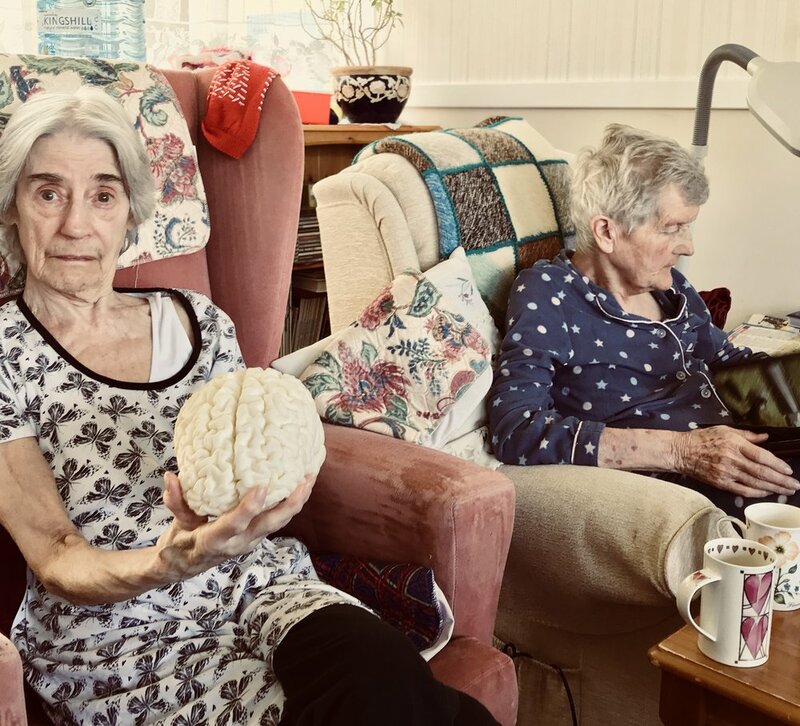 Alongside this, our community workshops included visits to the groups, including the carehome in Unst , as well as hosting conversations in the Islesburgh, providing opportunities to answer many questions about the brain, creativity and health. Overall we had at least 50 conversations and engaged with a further 200 members of the public. Our monitoring suggest that we met the aim of our visit in providing an interesting opportunity to engage with Shetlanders in the science behind health and creativity, as 58% were actively interested in the topic (with a further 32% open to it but not necessarily going out of their way to engage) and 80% of those surveyed either never or rarely (~1/year) having the opportunity to attend events to explore things further. 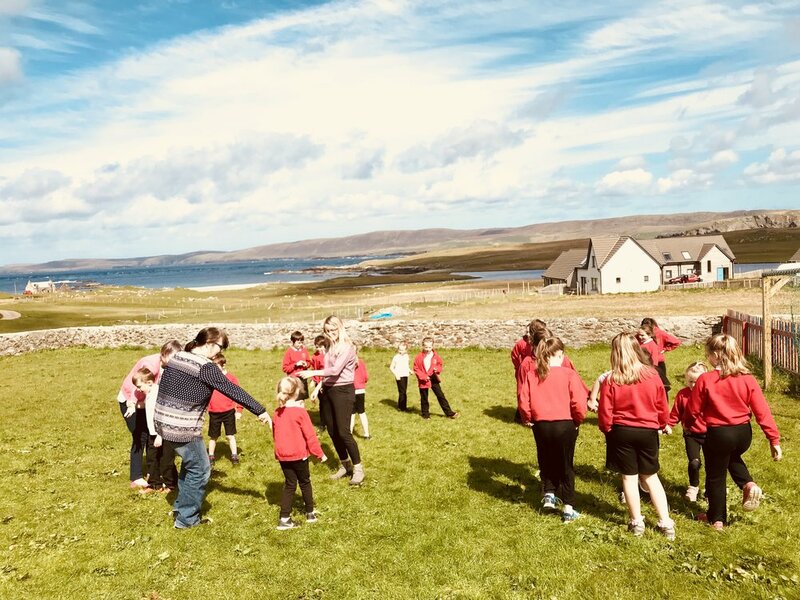 Our school programme reached eight schools focusing in Lerwick, Yell and Unst - Anderson High, Bells Brae, Mid Yell, Burravoe, Fair Isle, Cullivoe, Baltasound & Fetler - leading to over 650 student engagements (15 of which involved students with identified additional support needs). 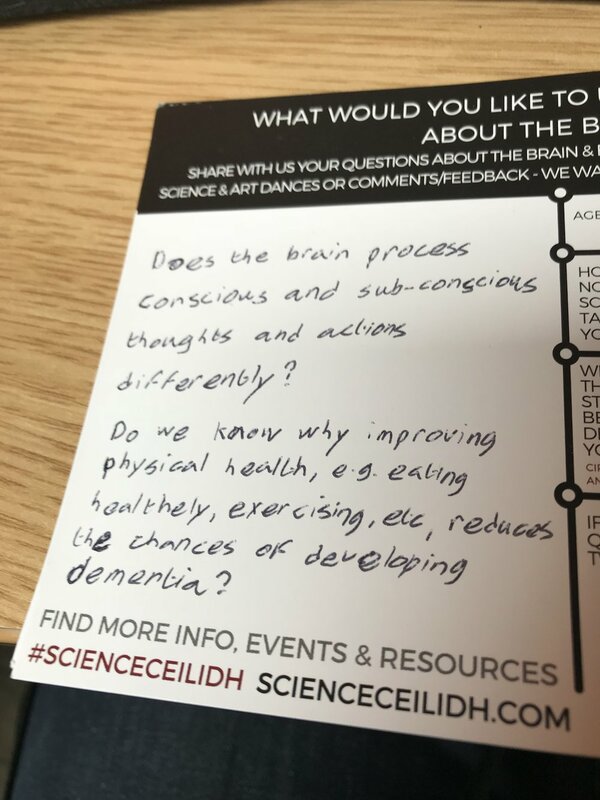 We explored how the brain worked, the neuroscience of music and creativity, including Lewis' research of how learning to play an instrument can change the brain and the importance of learning new skills throughout your life for healthy ageing. With Bells Brae, Mid Yell and Burravoe in particular, we had the opportunity to develop new creative responses to what we learned, and performed these at the Mareel and the Burravoe Relay for Life fundraiser to community members and parents! You can see some of these dances that were filmed to the right or compiled here here. See more of our school programme here. Reflection sheets from P7s from after their workshop! 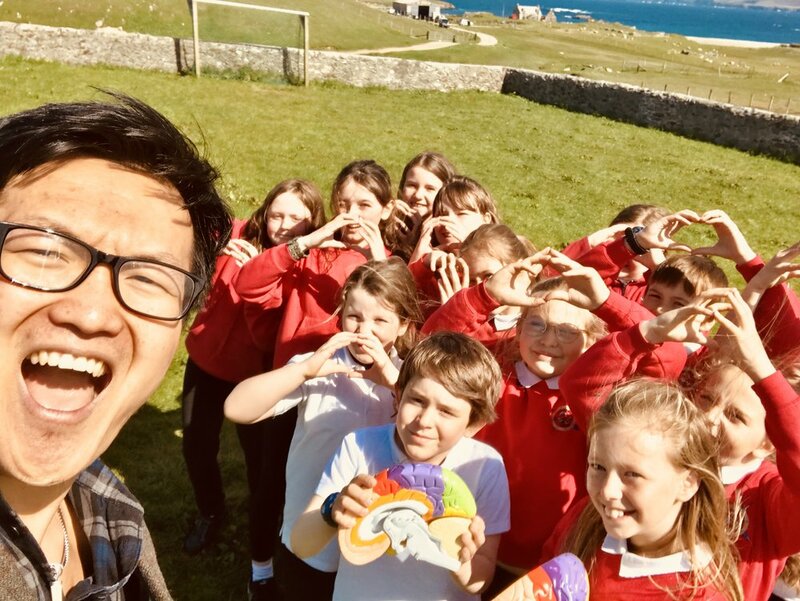 This project is supported with partnerships with Shetland Arts, the Shetland Science Outreach Group and funded by the Wellcome Trust.